Our mission is to protect the unique architectural heritage of our region and promote preservation & planning that fosters healthy, livable, and sustainable communities. The Landmark Society of Western New York, Inc., is one of the nation’s oldest and most active historic preservation organizations. It is a not-for-profit membership organization dedicated to helping our region’s communities preserve and capitalize on their rich architectural, historical, and cultural heritage. 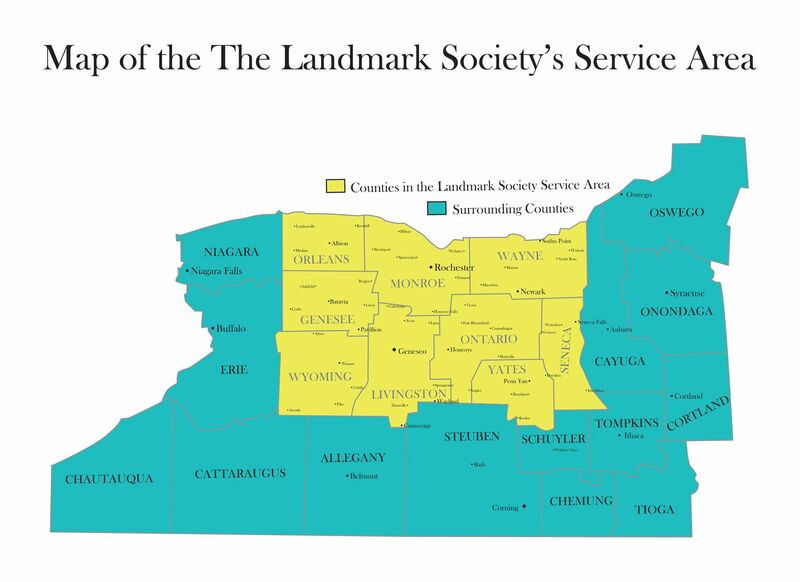 The Landmark Society’s service area covers nine counties in western New York centered on the City of Rochester. The Landmark Society was organized in 1937, preceding by ten years the founding of the National Trust for Historic Preservation, of which it is a charter member. Helen Ellwanger led a group of volunteers in founding an organization to protect and preserve the Campbell-Whittlesey mansion in the historic Corn Hill neighborhood of Rochester, NY. Built on this modest foundation, The Landmark Society has grown into a preservation organization with a state and national reputation. The Landmark Society is governed by a Board of Trustees elected for three-year terms by the general membership at the Annual Meeting in November. The board then elects officers. It has been the custom for officers to serve a minimum of two years, although they are elected annually. Visit our Staff page to see a complete staff directory.